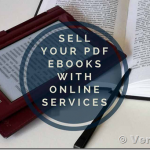 VeryPDF Cloud DocSafe: Support for opening and encrypting PDFs with the latest algorithm AES 256 algorithm (R=6). This algorithm was defined in the latest PDF specifications (PDF 2.0) and is compatible with Acrobat X and later. The new algorithm is used when applying new signatures but the “old” algorithm (R=5) is still verified in existing signatures for backward compatibility with Adobe Acrobat 9. VeryPDF Cloud DocSafe: Support for opening as well as encrypting PDF documents with 256-bit AES encryption, compatible with Acrobat 9. 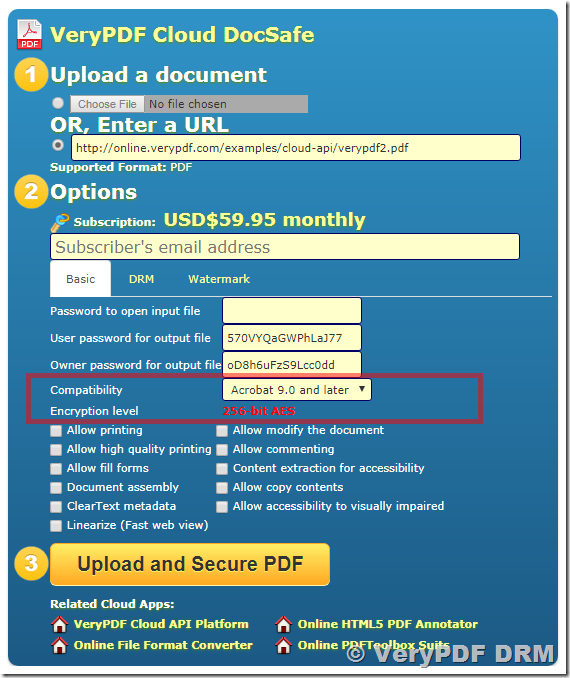 VeryPDF Cloud DocSafe: Support for opening documents encrypted with AES 256 encryption and also support for encrypting documents using AES 256 encryption. RC4, a symmetric stream cipher (i.e. the same algorithm can be used to encrypt and decrypt). RC4 no longer offers adequate security and has been deprecated in PDF 2.0. Passwords consisting of 1-6 characters should be avoided since they are susceptible to attacks which try all possible passwords (brute-force attack against the password). Passwords should not resemble a plain text word since the password would be susceptible to attacks which try all plaintext words (dictionary attack). Passwords should contain non-alphabetic characters. Don’t use your spouse’s or pet’s name, birthday, or other items which are easy to determine. 40-bit RC4 according to PDF 1.3 (Acrobat 4) encryption should be avoided since it is susceptible to attacks which try all possible keys (brute-force attack against the encryption key). The modern AES algorithm is preferable over the older RC4 algorithm. AES-256 according to PDF 1.7 Adobe Extension Level 3 (Acrobat 9) should be avoided because it contains a weakness in the password checking algorithm which facilitates brute-force attacks against the password. For this reason Acrobat X/XI/DC no longer offer Acrobat 9 encryption for protecting new documents (only for decrypting existing documents). In summary, AES-256 according to PDF 1.7 Adobe Extension Level 8/PDF 2.0 should be used. Passwords should be longer than 6 characters and should contain non-alphabetic characters.